Ashes of Creation overview in preparation, while waiting for release of the game. There will be no upfront box cost. AoC will be subscription based game. The cost of subscriptions will be about 15$ per month. However, there were and are opportunities to pay before the release date for additional bonuses in the game. An example of this was the Kickstarter campaign and it is now possible to purchase additional starter packages, including early access to the game. After the launch date of the game, there will be in-game mall/cash shop with microtransactions, available for players. But it will only contain cosmetics, skins and dyes. There will be no pay to win. All the things you will be able to buy for real money after the premiere of the game will have no impact on the game and will only be cosmetic. Game World - Nodes as a concept of the world. The game world of Ashes of Creation is called Verra. The world is divided into large zones, containing a given environmental themes (snow, jungle, desert and so on). Each zone is divided into smaller areas called Nodes. Nodes have no physically visible boundaries, they are contractual areas of influence. It is on the structure of Nodes that the entire mechanics of the AoC world is based. World structure is dynamic and built to react to the actions of our players inside Nodes. Every player activity within a given Node dynamically (live) changes the properties of this Node and is tracked and saved by the system within a given Node. Performing the quest, killing a monster, collecting resources, crafting and others are treated as the player's participation in building the quality of a given Node. If you do something that gets you experience, the Node gets experience too. In this way, the wild areas where the game begins to turn into large urban areas, cities, castles, etc. Together with the increase in the quality of Node (the number of actions the players take), its function changes. Starting from wild areas, the following phases follow: Expedition (few hours), Encampment (many hours), Village (few days), Town (many days), City (few weeks), Metropolis (many weeks). All Nodes in game world fit into one of four types: Military, Economic, Scientific and Divine. The size of the Node is larger than the size of the city itself, the activity of the entire area is counted against the strength of Node. The development of Node opens up new opportunities for a given area. There are new Quests, you can build your own house, common use buildings are available, new dungeons will pop up, secrets and other attractions appears. What has been built can also be destroyed. A magnificent developing Node can also be destroyed and turned into wilderness. There will be real time Combat System, hybrid between Tab-target and Action Combat System. The combat is going to be a combination of targeting method and positional mechanics that will dictate and determine the ability of skills to land and the efficacy of those skills. Included in the plans for combat is fluid chain attacks and animation cancels. If you do not want to fight other gamers, you will be able to effectively compete in the game and develop the world exclusively through PvE (player versus environment) activity, without PvP activity. A whole set of activities is waiting for you such as fighting monsters, questing, participation in events, crafting, gathering, city building, farming, animal husbandry, home building and raiding. There is no obligation to participate in PvP battles. You will have the opportunity to get an immunity so that other players will not be able to attack you. 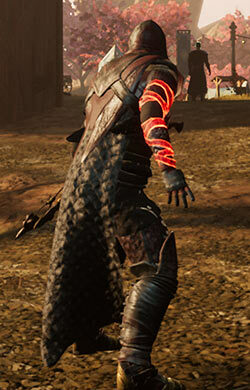 Although there will be special dedicated PvP areas in the game where you will be vulnerable to attack by other players. 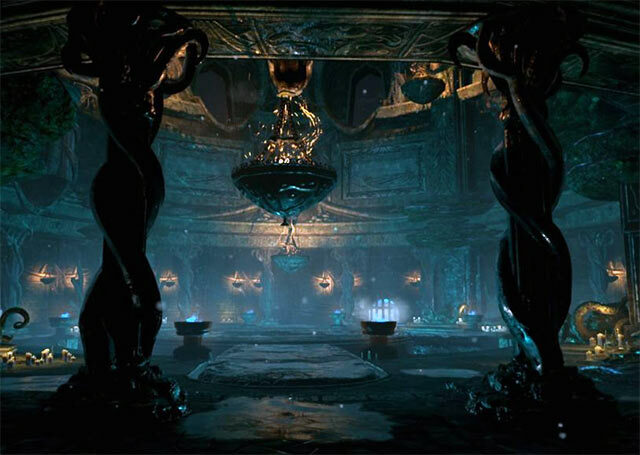 In AoC, we will find many well-known activities from other games, as well as new dynamic quests, changing their content depending on the circumstances and the development of the action. As in every real MMO game, also in AoC we will find vast dungeons. There will be Bosses, puzzles and challenging opponents. As in other games, visiting dungeon will be a dangerous and risky undertaking, so do not forget to invite your comrades on this trip. Apart from PvE, AoC will also incorporate a lot of PvP (player versus player combat) elements. There will be PvP flagging system, just to keep player kiling to a minimum as it will have a punishment system. There are three states that a player can find themselves in: Non-Combatant (Green), Combatant (Purple), and Corrupt (Red). Everyone is a Non-Combatant by default. If a Non-Combatant attacks a Combatant or another non-combatant, then they become a Combatant for a period of time. Similarly, if a Non-Combatant enters a PVP zone (which includes things like Castles, City Sieges and Caravans) they are automatically flagged a Combatant while in the zone, and for a period of time after leaving that zone. Players can kill Combatants without repercussions, and are encouraged to do so, since dying while a Combatant means you suffer reduced death penalties. Where this changes is when a Combatant kills a Non-Combatant. In this case, the Combatant is Corrupt, and acquires a Corruption Score (which is accrued based on a number of different parameters, including the level differential of their freshly slain victim). This Corruption Score can be worked off with effort through a few mechanics, but the primary means of getting rid of it is through death. While a player is marked as Corrupt, they may be attacked by both Combatants and Non-Combatants. If a non-combatant attacks a corrupt player, the non-combatant will not flag as a combatant. Control over a given area containing cities and settlements will be carried out by castles. Castles will be difficult to build and take over and will be the ultimate goal of a multiplayer war. Massively multiplayer siege warfare will allow you to defend or take over Castles with use of siege equipment. There are 8 playable character races (core archetypes) in Ashes of Creation. 4 main species, each with 2 subtypes. Alea Humans - Kaelar and Vaelune, Pyrian Elves - Empyrean and Py'rai, Kaivek Orcs - Ren'Kai and Vek, Dunzenkell Dwarves - Dunir and Nikua. There are 8 character classes (archetypes) in Ashes of Creation: Tank, Fighter, Rogue, Ranger, Mage, Cleric, Summoner, Bard. You can select one of the available character classes at the beginning of the game. Later during the game you can add a second character class to it. This creates a total of 64 combinations of classes, with different abilities. Regional market system allows players to participate in creating pocket economies that will reinforce the stability of goods in particular regions. Players will be able to move resources and set up shop in other areas to take advantage of the varied markets. Caravan system in Ashes of Creation they will give you the opportunity to earn wealth, but they also involve the risk of loss your goods. 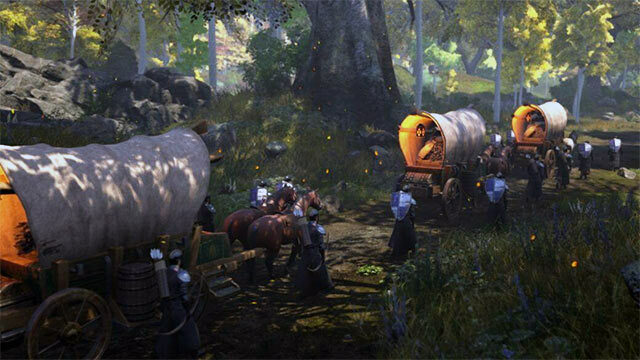 Caravans from one city to another will need to be defended by players while it moves along its route to the selected destination. Transporting these goods might just be more difficult than gathering them. These caravans create a static PvP zone around them, allowing players to engage in PvP with the defenders and attempt to destroy the caravans in order to loot the content. These caravans will be integral in city development. Static housing - Each zone will have a limited number of places where you can build a buildings. This is the rule of first come first served. These homes will grow along with the node development. Instanced housing - Basically housing for politics within a node. Houses for government and other political housing. Open world land ownerships - There will be designated special zones where anyone (who will have permission to do so) will be able to own a plot. He will be able to build a house, a workshop, a farm or a workshop there. 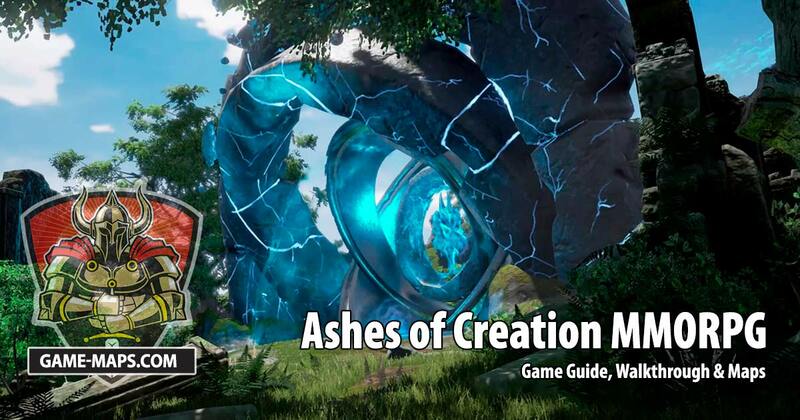 The company responsible for the production of Ashes of Creation is Intrepid Studios, Inc. Game studio was founded in 2015 and is headquartered in San Diego Sorrento Valley. This is the first game produced by this studio but both the founders and the staff have a great deal in computer games and MMORPGs. The company has its own financing but also uses social financing such as Kickstarter. Steven Sharif, the founder of the company, has a lot of experience in business, which is a good sign because money is an important part of creating a good game.